Every mom needs the occasional night out. Whether it’s a solo trip to Starbucks and Target, an appointment at the hair salon, cocktails with girlfriends, or … Cupcake Wars! 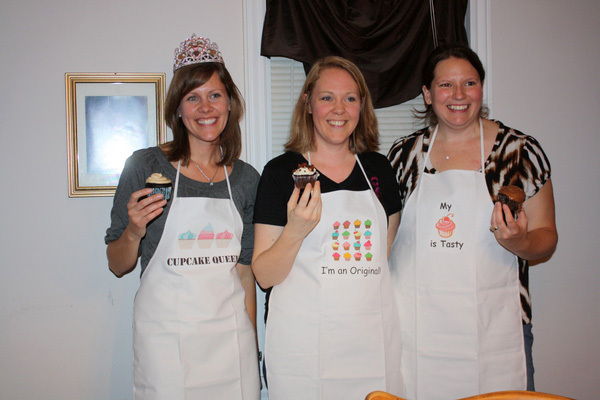 Last night one of the ladies in our local moms group hosted the first annual Cupcake Wars — a friendly competition among moms who like to bake and drink wine. The only rule was that your cupcakes had to include some form of alcohol. We always have pumpkin ale in our refrigerator during this time of year. So obviously my cupcakes had to include my favorite seasonal beer. I also knew I wanted them to be chocolate rather than the typical pumpkin spice cake with buttercream rather than cream cheese frosting. Ta da! Meet my new favorite fall cupcake. I was pretty proud of my submission. But the competition was tough. 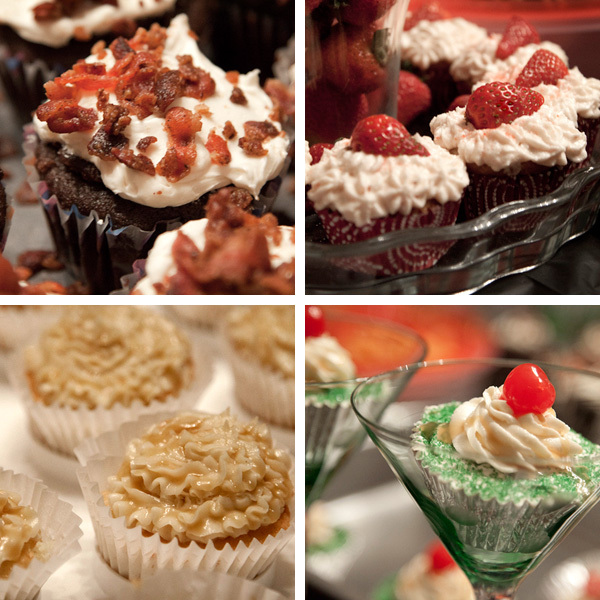 Irish Car Bomb Cupcakes with Bacon Bits. Strawberry Moscato Cupcakes. Caramel Apple Cupcakes (with Rum and Caramel Apple Liquor). And Apple Martini Cupcakes. To name a few. Cupcakes were judged on taste and originality, and we were also asked to choose an overall favorite. While we sipped wine (Cupcake Wine, of course) and attempted to counter the super sweet submissions with salty pretzels and savory buffalo chicken wraps, the hosts tallied the scores. And then the winners were announced. That’s right. I was crowned Cupcake Queen! The Irish Car Bomb Cupcakes took Most Original, and the Most Tasty award went to the Chocolate Raspberry Cupcakes with Kahlua Frosting. Such a fun night! I will wear my apron with pride. Now go bake these festive cupcakes for yourself. They are the perfect fall treat! Preheat the oven to 350°F. Line muffin tins with paper liners. Using a stand mixer or electric mixer, combine pumpkin ale, milk, canola oil, and vanilla. With the mixer on low speed, beat in eggs, one at a time. Add sour cream, and mix until fully incorporated. In a separate large mixing bowl, whisk together cocoa, sugar, flour, pumpkin pie spice, and baking soda. Gradually mix the dry ingredients into the wet ingredients until just combined (batter will be thin). Fill each cupcake liner about 3/4 full with batter. Bake 25 minutes, until risen and set in the middle. Remove pan to wire rack. Cool completely before turning out of tins. Using a stand mixer or electric mixer, cream butter. Add vanilla extract, pumpkin pie spice, and salt. Slowly add confectioners’ sugar, mixing well after each addition. Then add pumpkin ale and mix until light and fluffy. Beat on high speed for about two minutes. 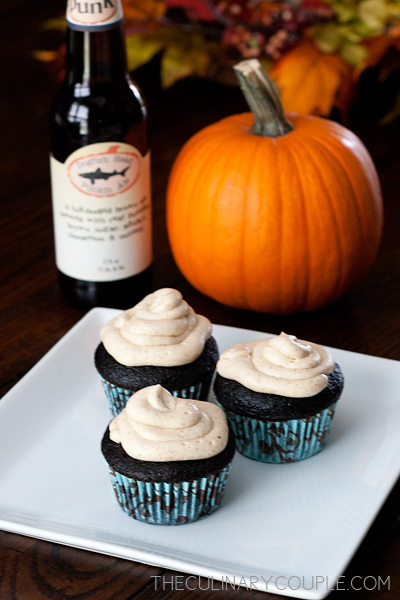 If frosting is too thick, add a little more pumpkin ale (1 teaspoon at a time) until you reach the desired consistency. Pipe frosting onto cupcakes. I. Am. So. Excited. You probaly don’t know this, but we don’t have pumpkin beer over here. I believe this is due to the German purity law. But … it is actually produced in a little brewery in Austria and a very special person will come back to me with a case full of it on Sunday. So you bet, that I will try this recipe soon! 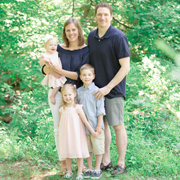 And not to forget – congratulations Emily! Ahhhh!! Congrats! Love the crown. The cupcakes sound amazing. I like idea of an alcoholic cupcake in a glass too-cute idea by that baker!! OMG!!! The cupcakes look just perfect. I can’t wait to try out the recipe. Also, I would like to suggest that they will look good on glass cupcake stands. So you can try them next time.